I love the the legs have extra room, I think that it adds to the effect. Well I'd hoped that I'd be able to get a few better shots of the costume, but my model was a bit less than cooperative. I don't have high hopes for this weekend. I have a feeling that the headpiece will not stay on any longer than thirty seconds. The headpiece was being ripped off in just about every photo (which explains the blurry shots and off centered trunk). I used the McCall pattern M6105. It was fairly user friendly, and it turned out how I'd hoped. 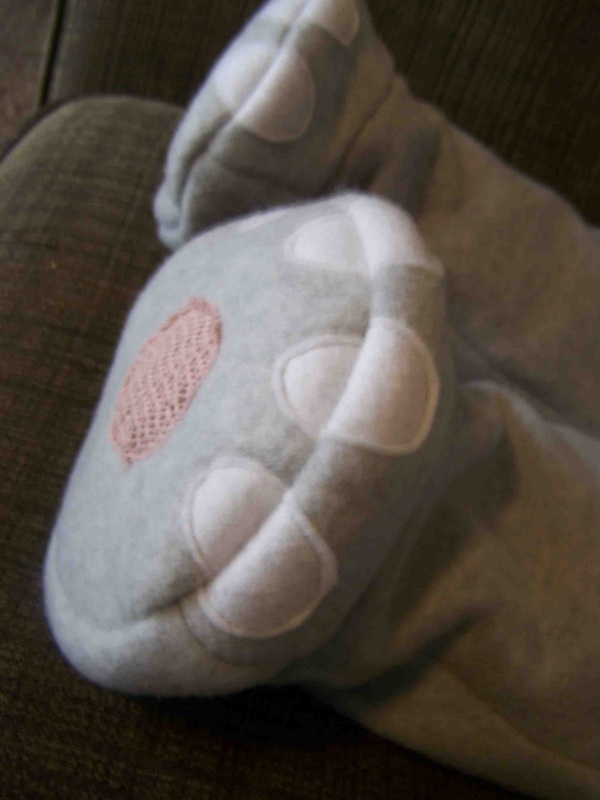 I also found that the sizing was fairly true, which was a big relief. I ended up making the suit and headpiece out of polar fleece. Idaho Halloweens tend to involve snow, so I figured that I'd play it safe and make it as warm as possible. My only real regret is lining the headpiece with fleece. Clark's ginormous head would have probably appreciated a thin knit in place of the added bulk of the fleece. I ended up finding all of my fleece in the remnant section (while fleece was on sale), making it 75% off-booyah! I figure that this is the last Halloween that I will be able to choose the costume. I wanted to make his costume as cute and cuddly as possible. 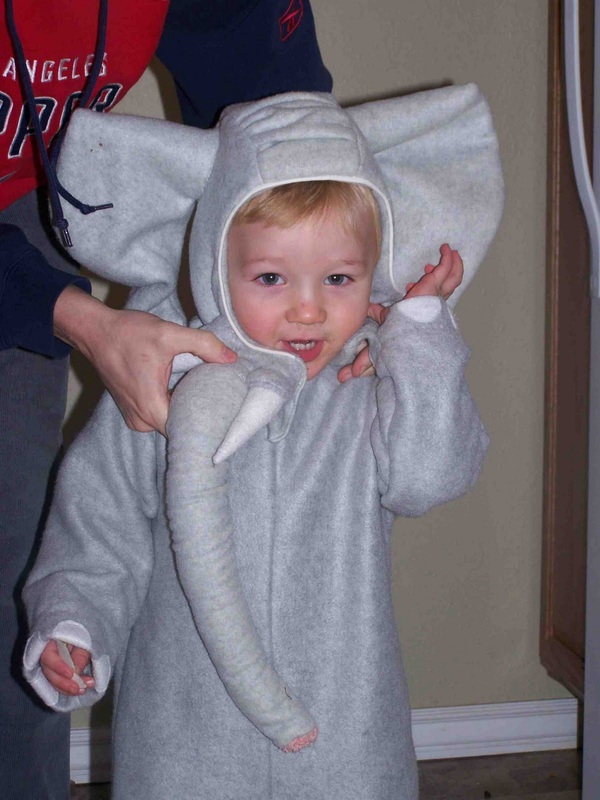 He makes a pretty cute elephant (complete with elephant noises. Oh, he looks adorable indeed. What a great costume! 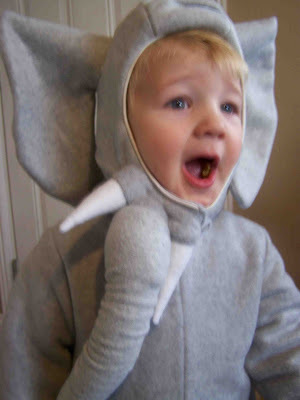 I love the elephant costume! What a cutie, and a great job! 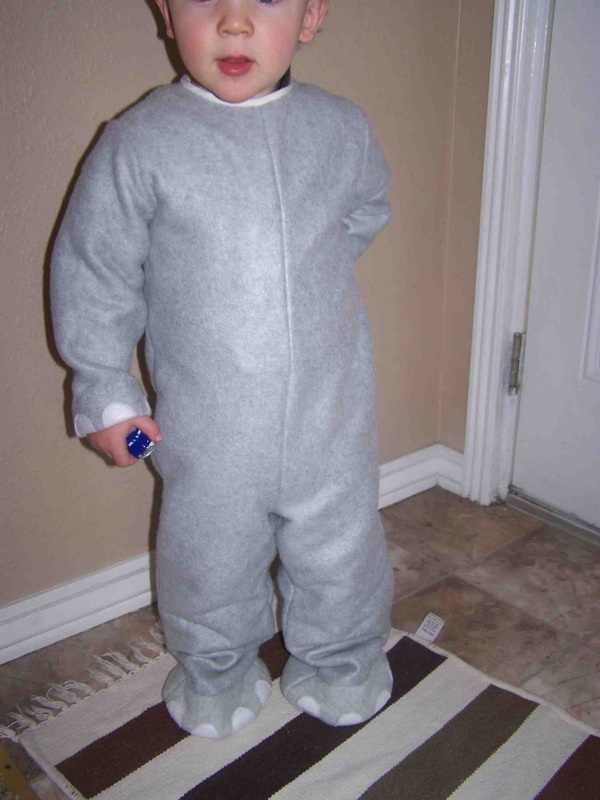 I made a lion costume once. My little one loved the suit part of the costume, but the headpiece (where i did the bulk of the work and was AWESOME i must say) he kept ripping off and crying whenever I put it on his head! It was quite disappointing at the time... Now i always let him choose and it's a million times better. 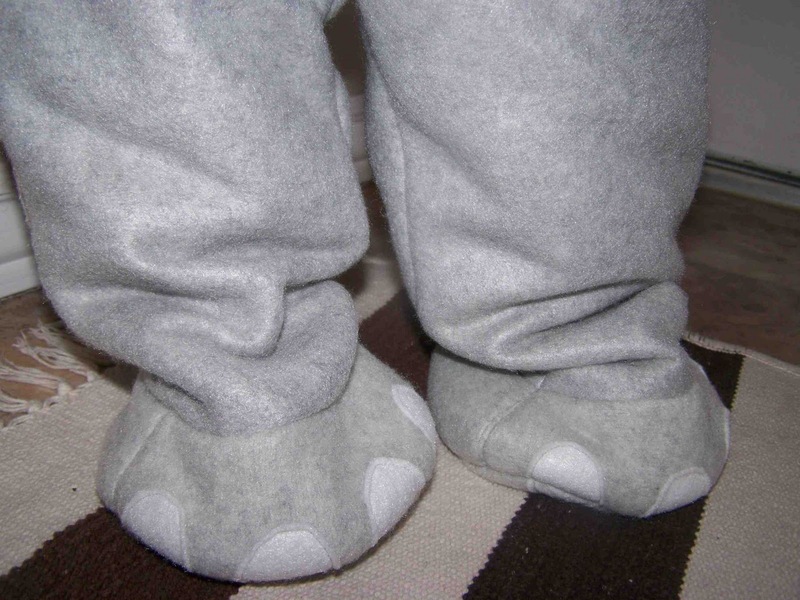 The little feet are my favorite part!! So cute! So cute, love the details! TOOOOOO CUTE! Easily the best elephant costume I have ever seen!